In our house fitness is a family affair. We know that daily exercise helps us to relieve stress, have more energy, feel more confident, and more easily deal with the daily hustle & bustle. We know the time we invest in our physical health & healthy eating habits pays off with less trips to the doctor, better over-all health, & God-willing, a longer life expectancy. Momma does a variety of Beachbody home workout programs & teaches PiYo Live fitness classes. Daddy is an avid runner & also incorporates Beachbody workouts. All the kiddos pay soccer, love to run, play outdoors, ride bikes, and will sometimes jump in with Mom & Dad's workouts too! 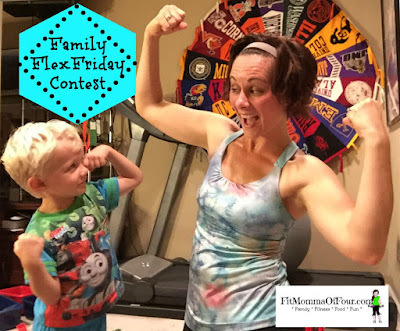 I challenge you to make fitness a family affair in your house this fall! Whether it is playing sports, taking a walk, going for a bike ride, or sweating it out in your living room...I want to see your family flex your healthy habits. All participants will be entered into a weekly drawing for a FREE PRIZE! Click here to learn how to stay accountable & motivated on your fitness journey.